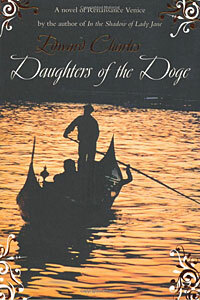 Daughters of the Doge is the second book in the Richard Stocker series and as such, a sequel to In the Shadow of Lady Jane. Venice 1556, a wealthy, bustling, multi-cultural city, with a standard of living four times that of anywhere else in Europe. Into that exciting environment comes twenty year old Richard Stocker, holding tightly to the Protestantism he has learned from his three years with Lady Jane Grey, and escaping from the persecutions of Catholic England under Mary Tudor. 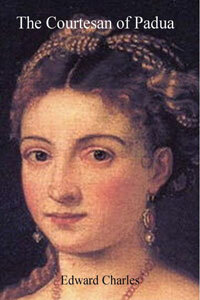 Soon Richard finds himself caught up in the close and interwoven life of La Serenissima, and especially its women; Faustina Contarini, a nun, imprisoned in a convent by her noble family as a child and desperate to escape its abuses, Yasmeen Ahmed, Muslim clerk and book-keeper to the artist Tintoretto, and Veronica Franco, artists’ model, honest courtesan and poet, who, alone, seems able to rise above the subtle complexities of this close-knit society and to understand it. Each of these women has her own story to tell, but they have one thing in common; they are all Daughters of the Doge, held captive by the seemingly contradictory laws and regulations of this teeming, yet artificial city. Feeling his way forward in this difficult and often troubled society, Richard develops a relationship with each of these women. With plague and famine in England, and Queen Mary’s persecution of the Protestants appearing to get worse, Richard is forced to choose between these women as he tries to find a future for himself in a foreign land. Padua, Republic of Venice, March 1558. Richard Stocker, a medical student at the University of Padua, and a leading member of The Sons of England, a small secret society, intent on seeing England return to the Protestant religion, is worried. While messages from England speak of Catholic Queen Mary being close to death, there are growing whispers that in her present state of delusion, Mary may finally be convinced that her sister, Elizabeth, is plotting against her, and will consent to her execution. 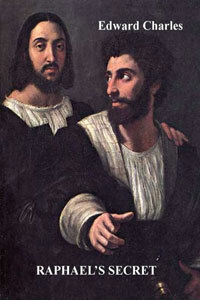 Against this background, Richard receives a warning from his friend, Francis Walsingham; that members of the Venetian government may be plotting to prevent Elizabeth from succeeding her sister. All they need to do is to convince Queen Mary that Elizabeth is involved in a treasonable plot against her, and the The Sons of England may be all the evidence they need. Walsingham’s advice is to disband immediately, but Richard is intent on going further; to find the people who are plotting against Princess Elizabeth, and somehow, to stop them. Republic of Venice 1559. At the Villa Barbaro, there is tension in the air, as the artist Paulo Veronese competes with the architect, Andrea Palladio for overall artistic control of the building project; a tension which the patrons are happy to maintain, believing it will ensure the best quality of work from all concerned. A small party sets out from near Padua to visit the Villa. Soon after they arrive, Luca Mosto, one of Veronese’s most promising assistants, is found dead beneath the artists’ scaffolding, his neck broken, and with suspicious signs of burning around the corner of his mouth. What caused those marks and what caused him to fall to his death? The Grand Council in Venice authorises a post-mortem examination of the body and an investigation of the circumstances of the young noble’s death. But Tommaso Mosto, the boy’s father, cannot accept the doctors’ initial conclusions and he demands a further investigation. Reluctantly, the patrons agree to wait for seven weeks before the death certificate is made public. Acting on Tommaso’s behalf, Richard Stocker, a young Englishman, recently qualified in Padua as a doctor, is charged with finding the truth. He has fifty days.